For sanitary applications, WIKA has developed a magnetostrictive level sensor in hygienic design. The model FLM-H sensor, certified in accordance with 3A Sanitary Standards, measures level in tanks and vessels with an accuracy of < 0.5 mm. The level is detected continuously, regardless of any physico-chemical changes of state in the media, such as foaming or boiling effects. 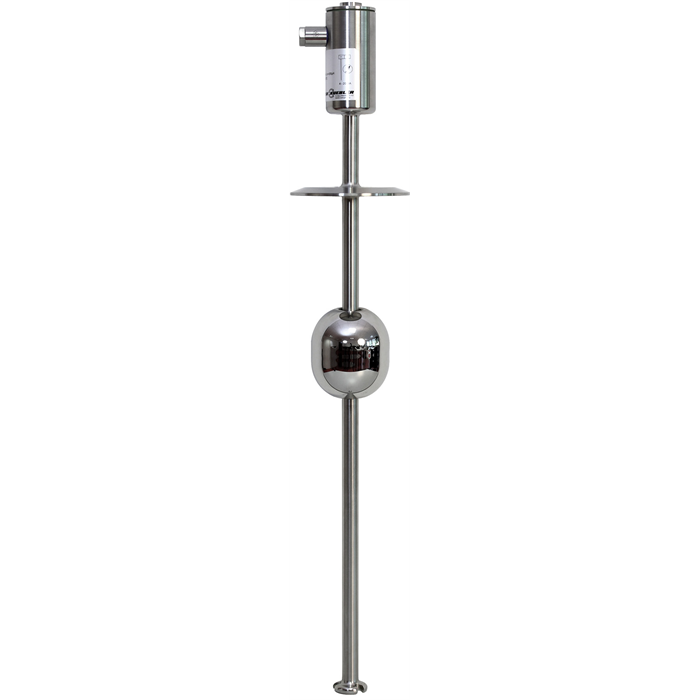 This measuring instrument, based on the float principle, even operates reliably with CIP/SIP processes - cleaning liquids and elevated temperatures do not have any negative influence. The guide tube is directly welded to the process connection. This leads to a crevice-free joint between the connection and the measuring cell, without the need for additional seals. The 4 ... 20 mA output of the sensor, also available with HART® protocol, transmits the signal even over long distances. The level is displayed proportional to volume or height. No calibration is required following installation. The sensor is suitable for SIL 2 (IEC 61508).